The A4155 runs along the north bank of the River Thames, through the leafy edge of the Chiltern Hills. About 2 miles wet of Marlow-on-Thames it passes through the hamlet of Medmenham. On one side of the road is the 12th century church of St Peter and St Paul. Opposite the church is the attractive Dog and Badger inn. This traditional inn was built in the 13th century, possibly to serve an abbey that once stood by the river. 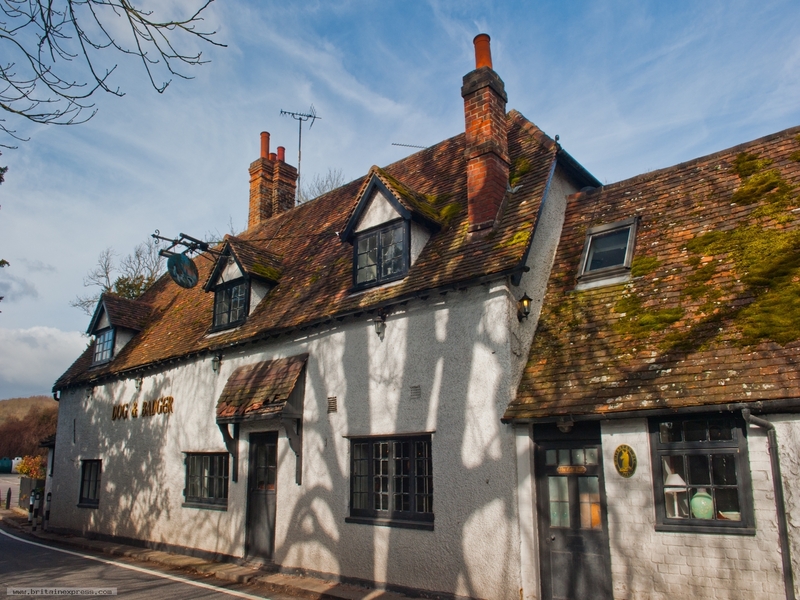 The inn was rebuilt in 1590 and restored in 1860 by the notorious Hell Fire Club.